As I sat down to work my way through some website updates on a Sunday morning, I decided to give the Hi-Fi system in my study a bit of a tune up. This is a simple little system, a Sonos Connect:Amp and a pair of Usher S-520’s, so there’s not a great deal that I needed to do, but I thought I’d share a couple of quick things that you can do keep your system singing. Firstly, a quick bit of dusting is always a good place to start. 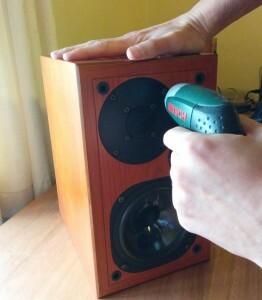 I’m certainly not the poster-boy for tidiness (as my colleagues would attest), but even a quick ‘man-clean’ will help prevent dust from working its way into your speakers. Wipe down the drivers from the inside out, taking particular care not to push anything too hard, or too far off centre. Even if you keep the grilles on, doing this every few months is a good idea. You may as well wipe down the cabinets too, it’s only for aesthetics, but you may as well while you’ve got the dust cloth. 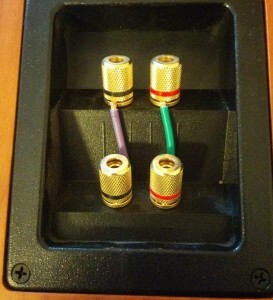 Next up is probably the most substantial improvement – re-terminating your speaker cable. Your copper cable, no matter how fancy, will corrode over time. If you use plugs of spades this will lessen the impact, but even they will need replacing over the years. This system uses some Chord Carnival speaker cable without any plugs, so I simply cut off the last few centimetres of exposed copper and stripped the cable back. I also took the opportunity to replace the bi-wire bridging bars on the speakers. These shipped with the speakers and are just a bit of bent brass plate to bridge the highs and lows if you’re not bi-wiring. I was probably so excited to get the speakers playing when I got them that I never got around to replacing those bars with some speaker cable. I simply lopped off a few more centimetres of speaker cable and fitted that in its place. Make sure you do up the terminals nice and tight. As a last measure, I tightened up the drive units. Speakers and their drivers produce vibrations, and over time, this vibration can slightly loosen the fixings that hold them in place. I’m not talking about shaking the driver loose; it’s a subtle little movement. This means that the basket of the driver is moving a tiny bit with the driver, which can muddy the sound a fraction. By tightening up the drivers, they can produce the vibration they are supposed to. Take care with this step – you don’t want to over-tighten anything – you could damage the cabinet, or crack a driver basket. Just give them a quarter turn of so – enough to firm the drivers up. I also tightened up the speaker terminal plate. You can also take this time to tighten up spikes on floor standers. With everything done, I sat back and had a listen. Sure enough, the bass had tightened up a bit, and the top end had a touch more focus, with more space between the vocals and the instruments. 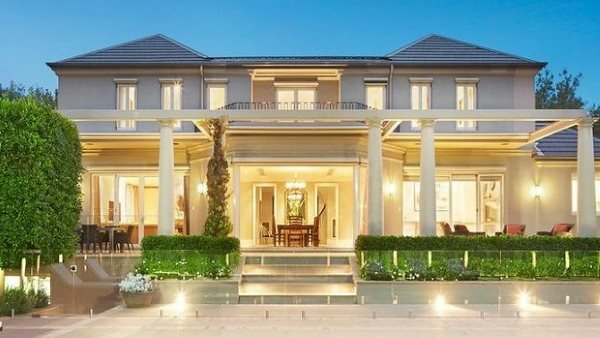 The changes aren’t mind-blowing – the differences are subtle, but it’s certainly an improvement, and one that will only cost you a little bit of time. And as card carrying audiophiles, aren’t we trying to wring every last drop of performance from out system?